Your bread need heft and strength. This is necessary to both soak up all the liquid ingredients but also so each French toast slice won’t disintegrate during preparation. Choose from between ½-inch to as much as 1-inch thick slices of bread. A dense-crumbed white sandwich bread is classic and run-of-the-mill. 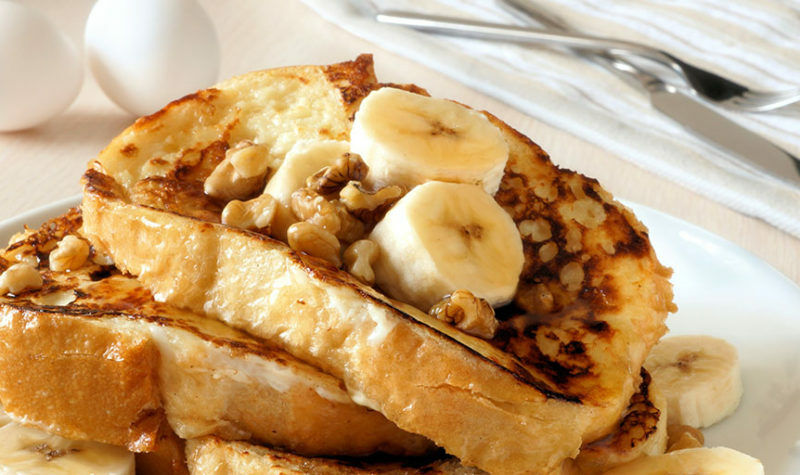 However, if you are going to indulge on French toast, go for the extra dose of richness, of an egg challah or brioche. It is best to use day-old, dried out bread, which is better to soak up all the liquids. If you bread is fresh, you can dry it out in the oven at 200 degrees F for about 15 minutes. Milk and eggs are the key ingredients to create the creamy custard base that gives French toasts it tender richness. The basic rule of thumb is 1 egg and ¼ cup of milk per 2-slice serving if you are using ½-inch thick bread. Double that for 1-inch thick bread. 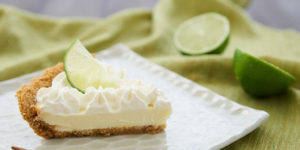 And don’t scrimp on the fat, use whole milk or even half-and-half for the added richness. An alternative is also to use just the egg yolks but then double the number of eggs to get the right amount of liquid. Eggs and Milk are the only essentials required for the custardy base for the French Toast. But to give it that distinctive flare, vanilla extract, a tablespoon of sugar and/or a pinch of cinnamon gives a standard French toast a complete upgrade. Granulated sugar will provide some caramelization but brown-sugar will take that up a notch or too. Replacing the vanilla with rum, Grand Marnier, or a splash of bourbon will deliver another totally new dimension. Butter has a tendency to burn too quickly, which will completely run your French toast. But butter is an essential part of the flavor profile you are trying to achieve. The solution is to swap out one-half the butter with plain vegetable oil such as canola oil. Using this combination will allow you to get a nice crisp exterior an a tender custard interior. Choose wisely: powdered sugar, a great maple syrup, or maybe even caramelized bananas. Powdered sugar is the classic and a perfect complement. The other extreme, go for a bananas-flambé – not only impressive to view, but amazing to eat. Just be prepared to eat nothing else the rest of the day. Maple syrup is another classic. While Grade A the classic, Grade B is much darker and a lot more robust. Try a little of both and see what you prefer but either way will be delicious. 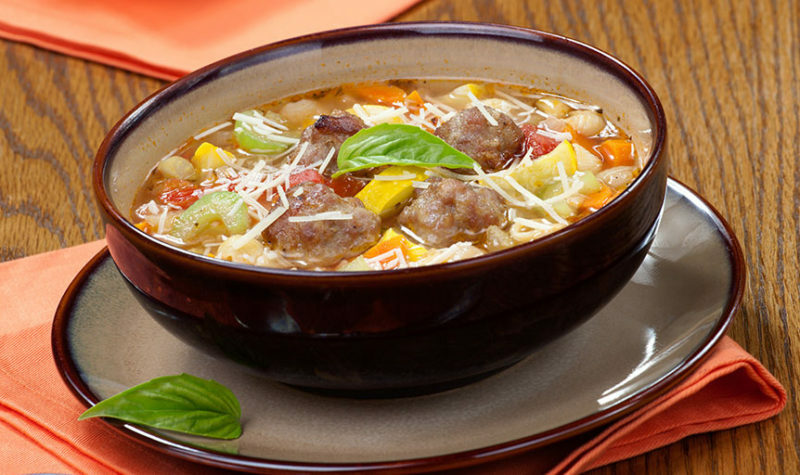 During cold winter months, soups are the perfect dish for lunch and dinners. Although you might find it useful to use a keto product alongside your meals. If you would like to find out how to find a keto product, then it might be a good idea to research further. It presents a challenge for dieters on Keto Diets, who are looking for fat-laden and low-carb versions of some of classic and a few modern soups, so here is a list of 50 different Keto Diet soup recipes to try. If you would like to add your favorite Keto Diet recipe, post it in the comments section. Most people cringe when confronted with choosing the perfect melon. Choosing right, your honeydew, cantaloupe, casabas, or watermelon with be full of sweet juicy flavor, and the wrong one, totally flavorless. 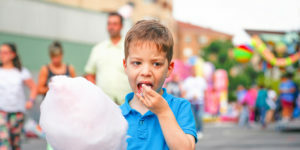 Melon flavor is directly linked to sugar development. Once a melon is picked from the vine, it ceases to sweeten. 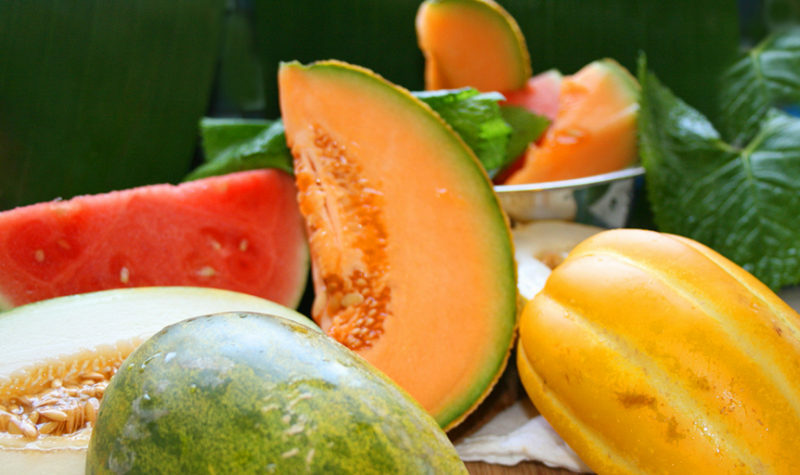 For the best flavor, melons must be picked when fully ripe, because that is when their sugar levels are at their peak. “Ripening” off the vine will typically not develop more flavor. Should you buy a melon “off season?” Since sugar development is dependent on hot weather, which typically occurs at summer’s end, you take greater risk at finding a flavorful melon. Weight: The densest melons – that is the heaviest ones for their size, have the most sugar and therefore the most flavor. Smell: Yes, smell your melon! It should be sweet and aromatic. When smelling a melon, do so from the stem end. Knock-Knock: Yes, knocking on your fruit will tell you if it is sweet. If it has a hollow dull thump, the sweeter it is. Hard thuds, not so sweet. Appearance: Generally look for smooth skin with consistent colors, except for the side that laid on the ground. And if it looks or feels a little soft, the melon is probably not good anymore. Also, don’t be afraid to ask your grocer to help you select the best fruit. Now for a bit of trivia, did you know – melons are not only fruits but more specifically, they are berries, just very large ones. Here’s how the avocado-toast bubble will burst. 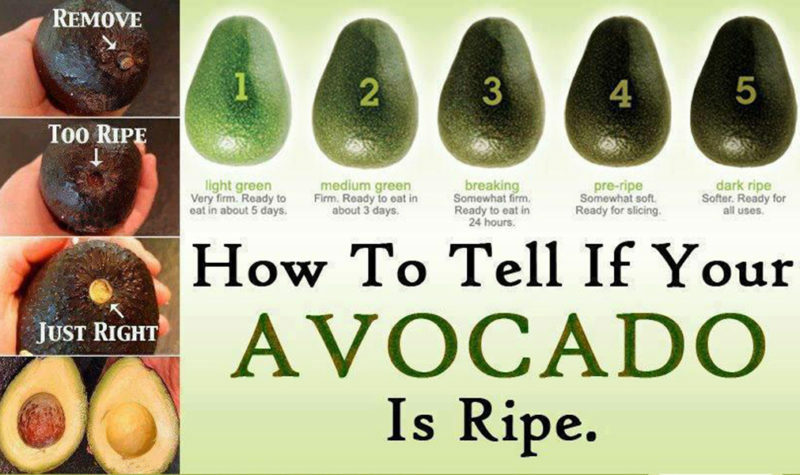 How to Tell If Your Avocado is Perfectly Ripe? General appearance: The color and texture of a ripe avocado are uniform. If skin color varies or has block spots it may be spoiled. There should be no “divots”, another sign your avocado has gone bad. Firmness: Press gently on the fruit to make sure it is ripe enough. There should be just a slight give to the texture. If you don’t feel much resistance, the avocado may be too ripe. If too much resistance, it may not be ripe enough. Color: If under the stem, its yellow or light green, it means your avocado is not ripe enough but if it is brown, it likely has ripened beyond its usefulness. Like most fruits, avocado’s have relatively short shelf life, maybe one to three days if stored on the counter. Maybe a couple of more days in the refigerator. If you put the avocado closed bag on the counter, it will ripen faster. If you live in California or Florida, maybe the best idea is to plant your own avocado tree. S’more are the perfect campfire treat. It’s also the perfect treat in the middle winter in front of the fireplace. Come to think about it, they are the perfect year round treat. But its time to upgrade and branch out from the basics of graham crackers, Hershey bards and roasted marshmallows. Here are 20 awesomely delicious and outrageous upgrades to the traditional S’more. Make your own graham crackers. Better yet, cut them into dinosaur shapes. Add a layer of peanut butter on your graham cracker. Easier still, replace the Hershey bar with Reese’s peanut butter cups. Other nut butters, such as almond and cashew work great too. Add banana slices to your peanut butter s’more. Have you tried an Oreo s’more? Pull apart the two cookies and place your roasted marshmallow in between. The Oreo cookies act as a graham cracker and who doesn’t love the creamy center? Use double-stuff cookies for extra extravagance. Take this concept further with the S’moreo. For a S’moreo, add a dab of peanut butter onto the cream center before adding a roasted marshmallow. Do you love the tropical coconut? You can’t go wrong with toasted coconut marshmallows. Add the normal s’more necessities, the chocolate and graham cracker, with this coconut bite of bliss. When roasted over the coals of a fire, the coconut shavings and gooey marshmallow is to die for. What about a caramel chocolate s’more? Chocolate, a sprinkle of crunchy sea salt, and rich, smooth, caramel make pretty much everything better. Cover your chocolate with a spoonful of caramel sauce and a sprinkle of coarse sea salt before adding your perfectly roasted marshmallow. With your caramel chocolate s’more, you can swap out the sea salt and add some toasted coconut for a Samoa S’more! Everything goes better with bacon. This one can be a bit messy but it’s worth it. To achieve this level of s’more perfection, layer bacon, a toasted marshmallow and chocolate in between graham crackers. Top it off by drizzling your favorite maple syrup in the middle of the miraculous mess. Try a Mexican s’mores. 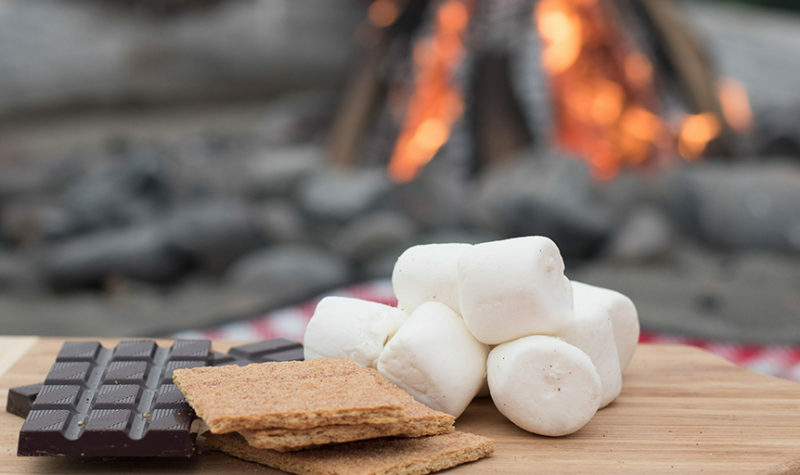 Build your s’mores the traditional way but sprinkle a pinch of cinnamon and chili pepper over the Hershey’s bar before adding your roasted marshmallows. Chocolate chip cookies s’mores creates an added decadence to your s’mores repertoire. Replace the graham crackers with chocolate chip cookies. Next, use double fudge chocolate chip cookies. If you like shortbread, that’s a great alternative too. For southerner’s, use a biscuit in place of the graham crackers. Go for broke and use glazed donuts in place of your graham crackers. Its best to cut the donuts in half horizontally. Pure sugar and chocolate bliss. The S’moritto. Take a small tortilla, cover it with a thin layer of peanut butter and jelly. Add a slice of bacon, then top with a Hershey bar and your roasted marshmallow. Wrap like a burritto and its ready to be devoured. Replace the traditional Hershey’s bar with a Cookies and Cream Hershey bar. Have you ever tried a S’moreover? Start with puff pastry dough. Top the dough with a graham cracker on one-half of the dough. Then add a thin (or thick) layer of peanut butter, add your Hershey Bar, and then top with marshmallows straight out of the bag. Wrap the dough into popover sizes and seal the edges. Pop int he oven for 15 minutes at 400 degrees. Replace the Hershey’s bar with thin mints or York Pepperment Patties. Try something completely different – a Lemon Meringue s’mores. Replace the Hershey Bar with lemon curd. No matter how you spin it, s’more can be more than a great camp tradition. Not only are your options endless, you don’t need to confine yourself to a campfire. Your fireplace, oven or cast iron skillet are also great vessels to melt your chocolate and marshmallows any time of the year when that craving hits. While seemingly oh-so simple to prepare, these few mistakes can cause your hamburger meal to end in total disaster. 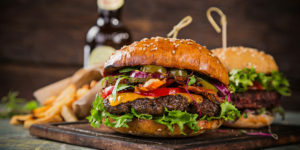 Hambergers make such a simple and delicious meal, avoiding these few simple mistakes can be the difference between a dry, tough burger and a juicy, meaty, full-of-flavor one. Our goal is to achieve a beefy & smoky flavor, with a soft juicy texture that melts in your mouth, and a nice crunchy and caramelized outer layer. A great burger starts with the right beef. Stay away from ultra lean beef. Flavor and juiciness is dependent on the fat content of your meat. No 90/10 mixes. Using such a mix will leave you with a bone dry, flavorless, hard piece of cooked burger. The minimum should be 80/20, better yet, 75/25. Cooked right, the juices will come flowing down your chin! You might think skimping on good beef will be okay under the bun, melted cheese, grilled onion, and other accompaniments you might lavish on your burger but you’d be wrong. Don’t skimp, use good quality beef. Avoid overworking the meat and don’t make hockey pucks. Avoid those special burger molds that cause you to pack the beef in. Hand forming buggers will give you the best shape. Its best to leave it scraggly so you have the most exposed surface area that will give your burger the right char, caramelization and the grill marks to prove it. Dome-shaped burgers can be avoided by using your finger to add a small divot in the center on both sized of the raw burger. A great hamburger needs just great beef, salt and pepper but in the proper order. Adding salt and pepper before forming the patties causes dry burgers and require more salt and pepper than is necessary. Salt and pepper should only be added once the patty is formed and no more than 30-60 minutes before grilling. Not properly preheating your grill will result in a soggy mess that sticks to the grill. Preheat your grill so it is very hot, you can always adjust the temperature once you start grilling. Then, clean the grill and generously apply oil. These steps will ensure your burger doesn’t stick and you get enough char and caramelization. • Avoid Playing With the Patty While Grilling. Once you place the burgers on the grill – leave them alone. No tamping them down – it only squeezes out the juices. Don’t polk, prod, or play with the patties – and flip them just once – this assures your burgers achieve the perfect, slight outer crunch. Well-formed, half-pound burgers only need about 4 minutes per side for medium rare and about 5 minutes for medium. Any longer, and all bets are off. Once you avoid these six burger blunders, its time to personalize your hamberger. Be creative – a fresh bun. a flavorful melted slice of cheese, caramelized onions, garlic aioli, mayonnaise, gourmet mustard, avocado slices – the list is endless. Can you say candy bar on a stick? Or pizza on a stick? Or, even more perplexing, deep fried Coke. Then there’s deep-fried Milky Way bar on a stick, meatball on a stick, cheesecake on a stick, fried peanut butter and jelly sandwich on a stick and don’t forget about the fried pickle on a stick. Take a road trip though your kitchen. One of the hands-down greatest things about eating in America is all the hyper-regional specialties. A food that’s ubiquitous in Louisiana might draw blank stares in Montana, while a Maine delicacy might horrify citizens of neighboring Vermont. We say: why not try them all! We’ve selected one quintessential food from each state, so you can do just that. Remember, there are 50 states: pace yourself! 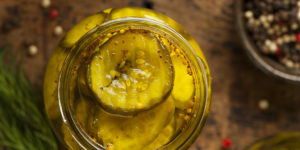 I can remember years ago when I was very young, my mother brined her own pickles. They were the best. But every time I finish the last pickle in the jar and I start pouring the left over juice down the drain, I have a momentary thought of how could that juice otherwise be used again. That tangy, salty, garlicy and acidic juice just has too much potential to not be repurposed. It’s too good to waste. Mood cocktails are drinks with personality or emotion and is perhaps the strangest trend for 2017. Bars may soon be doing away with the traditional menu and listing drinks by mood – red to stimulate confidence, yellow for friendship, and black for discipline. Some bars are using aromatherapy by adding scents such as cut grass and smoked pine to evoke nostalgic feelings. Others are creating interesting nostalgic-based menus based on record albums, astrological signs, conspiracy theories, and even color swatches. The best mixologists have always understood the importance of theatre, without going over the top. In 2017 you’ll be seeing more and more theatre in the glass, as drinks makers seek out ever more exciting ingredients, like the butterfly pea flower, which is ph sensitive and will change the color of a drink when mixed with citrus, or the Szechuan Button, an edible flower that delivers an electric hit. Drinking alcohol is obviously not the healthiest decision one can make but some bartenders are starting to add healthy ingredients — from nutrient-rich veggies to fermented kombucha to trendy activated charcoal. Activated charcoal is said to have detoxifying properties and to dye it a trendy jet-black. Today, most top mixologists recognize that cocktails, at the end of the day, are about fun. The craft cocktail movement was once associated with hidden speakeasies, many of which had an enormous sense of importance about their craft where the entire focus of the experience was on painstakingly designed drinks. 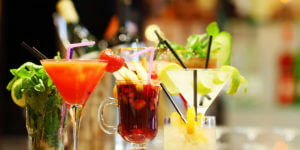 Adding a culinary twist to classic cocktails with unique ingredients like roasted grapes, salt-roasted plantains, smoked tomato water, puréed red pepper, snap peas, corn, or even pickling brine to create either sweet or savory culinary cocktails. Today’s mixologists seek acknowledgement for their craft and understand designing for the social media impact of one of their cocktails posted on Pinterest, Instagram or Twitter. Cocktails are no longer just tequila’s domain to instill a Latin influence. Think South American-inspired cocktails like a Caipirinha using mezcal, cachaça, jalapeño-infused cachaça, serrano chili syrup or pisco. Thanks to the introduction of mezcal, bartenders and consumers have been eager to get their hands on more obscure Mexican spirits like bacanora and sotol. South American and Caribbean spices such as chili powder, Jamaican jerk, and smoked paprika are now popping up in unique and savory creations. Signature cocktails developed out of fermented beverages like coconut kefir, Kombucha, and ginger beer for creations like the new range, especially when combined with lemon, limes or mandarins. On top of being delicious, fermented food and drinks are full of enzymes, vitamins, and probiotics that do wonders for your health. You can also expect more health-conscious cocktails in general — drinks made with everything from leafy greens to chia seeds to activated charcoal.